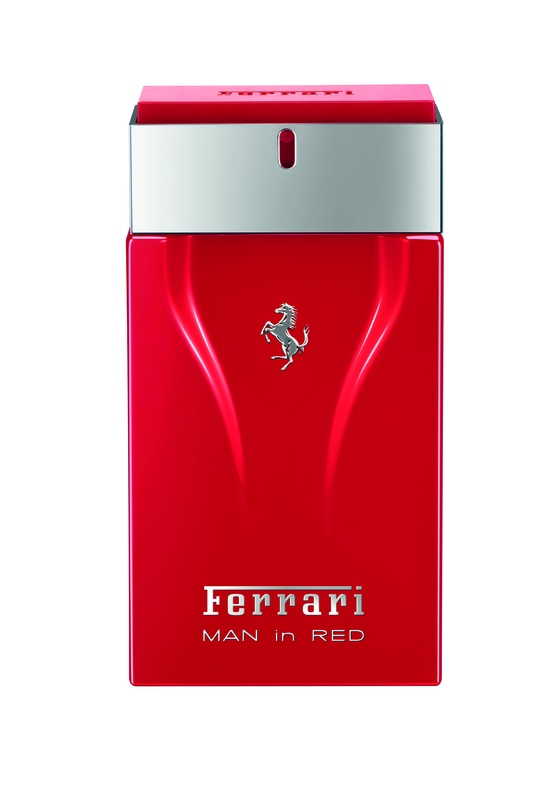 Man in Red, Ferrari’s latest fragrance, is a bold and intense scent that celebrates all that is thrilling about Ferrari. It captures the very essence of masculinity and embodies a new type of man, one who lives intensely: A new scent for a new breed of man. The new Ferrari man is a sensual, thrill-seeking and charismatic individual, who thrives on the rush of adrenaline. He is also a man of contrasts, underneath his athletic exterior lies a heart of gold. Always in the pursuit of new experiences, he lives life to the full. Man in Red is the perfect olfactory expression of this new man who lives intensely. The new Man in Red bottle is modern, stylish and elegant. Glamorous curves outline an indent in the glass, creating a contemporary object that sits beautifully in the hand. Meanwhile, sophisticated and refined lines are offset by a double-lacquer finish in Rosso Corsa Red, a red invented and created by Ferrari for its cars. The bottle is capped with a glossy metal band, and stamped with the classic Ferrari logo. The silver metallic horse is etched into the indent of the glass as a final touch of refinement. The presentation box echoes the red bottle design, incorporating the silver horse and Ferrari logos which are delicately embossed.